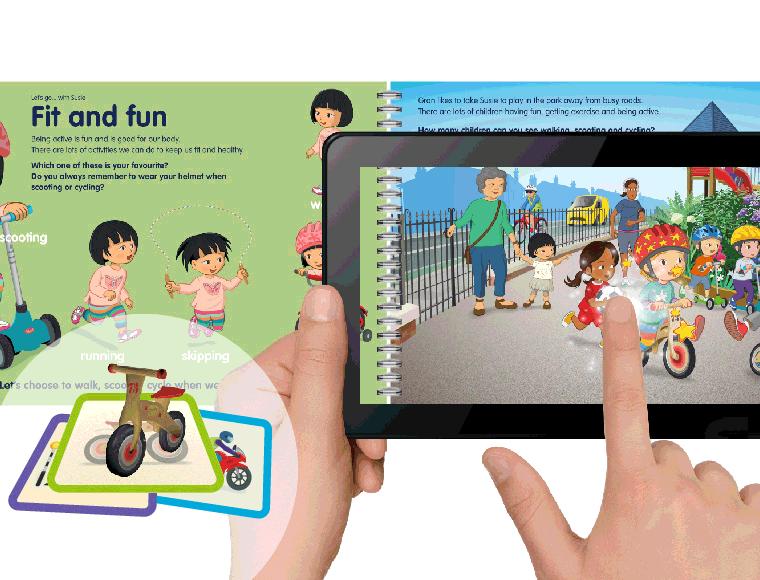 A pack of educational fun to help under 5s learn & remember key road safety and active travel skills for life! A4 landscape, 54 page Let’s Go activity & learning book with reward stickers, 18 flashcards use both with or without AR. All packaged in a sturdy gloss wallet.Read reviews. You will receive the pack through the post in 5 working days. Nursery leaders, early years practitioners, childminders, Sure Start/Child Information Centres who would like to introduce active travel and road safety learning into their settings. Those with English as an additional language (EAL) and children with additional support needs. Those groups that engage with children aged 3 to 5 years old; libraries, clinics, faith groups. A4 Practitioners Guide with lesson outlines, 30 photocopiable activity sheets, A3 active travel map, two posters to display for parents/carers, 30 parent leaflets, free App with supporting interactive games - all contained in a flexible, durable plastic wallet. 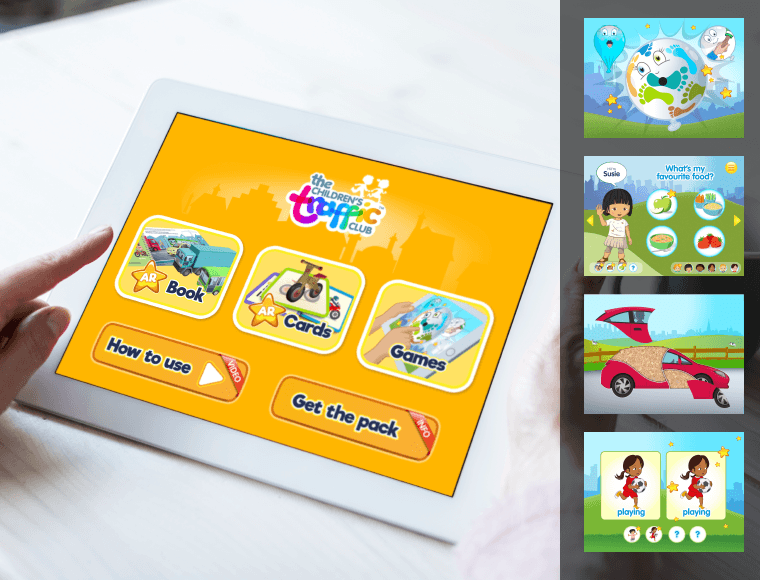 PLUS The Let’s Go Learning and activity book, reward stickers and flashcards (to use with or without the AR). Everything you need for the AR is in this app too, so you’re ready to go when the book pops through the post. Watch the magic happen – images will jump off the page and animate!